Children born with Virgo Zodiac sign always display perfection in their activities and are always organized. Virgo children have curious minds and show enthusiasm in learning new things. A Virgo child will have to be taught to laugh and remain happy. Virgo child are real angels, they have the helping attitude since childhood and hence it becomes easy to up bring them. 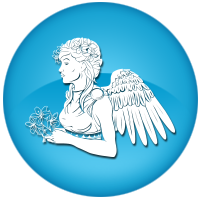 Virgo child are usually curious and strive tremendously to find satisfying answers to their curious doubts. This makes their fundamentals very strong. They are well organized, good in their work and hence love the admiration of all the people they come into contact. A Virgo child will grow up to become the favorite employee. Their keen sense of perfectionism will prove as an asset to the organization. The children born with Virgo Zodiac sign have a habit to remain perfect at all times and this occasionally changes their behavior and outlook of common aspects. Check out Virgo Child Free Online Kundali Here..